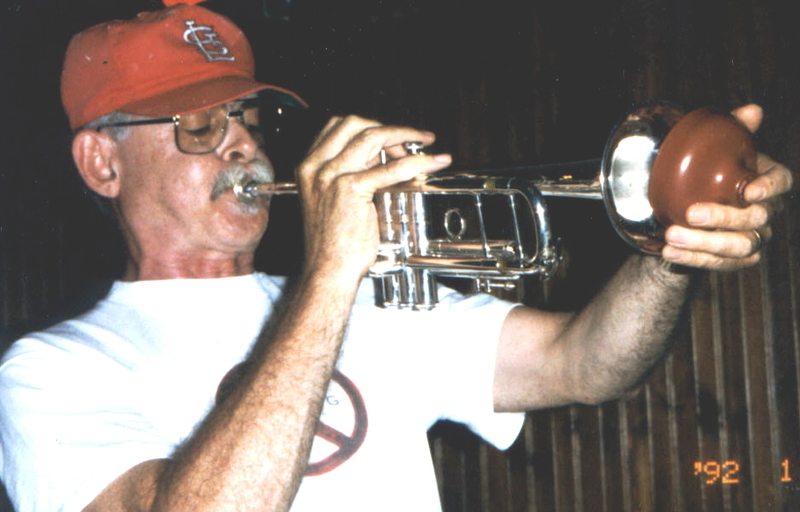 Smoker studied and performed both jazz and classical music while growing up in Davenport IA, and graduated with a doctorate in music from the U. of Iowa in 1974. As a trumpeter his influences include avant-garde classical sources and also the saxophonists John Coltrane and Anthony Braxton. he taught at Coe College (IA) from 1976 to 1990, and has also taught at the universities of Iowa, Northern Iowa and Wisconsin-Oshkosh. In late 1990 he moved to upstate New York and now concentrates exclusively on composing and performing. Maintaining a strong commitment to contemporary "classical" music -- both notated and improvised -- along with jazz, Smoker has been a member of the U of Iowa Center for New Music, the Iowa Brass Quintet, SOMA, and presently appears in duo formats with pianists Beverly Smoker and Borah Bergman in addition to presenting solo trumpet concerts. In addition to his own projects as a leader (Paul Smoker Trio and Brass Group) and co-leader (with Vinny Golia), he is a member of Braxton's Tricentric Orchestra, and ensembles led by Phil Haynes, Gregg Bendian, and Damon Short, among others. He has performed with a wide diversity of other jazz artists over the years, including Dodo Marmarosa, Art Pepper, Frank Rosolino, David Liebman, Doc Severinsen, George Lewis, Evan Parker, Peter Brotzmann, Lee Konitz, Dave Sanborn, Herb Robertson, Drew Gress, Mark Dresser, Gerry Hemingway and Marilyn Crispell. Smoker was first nominated to the annual Downbeat Critics' Poll in 1986, and has been the subject of features in Downbeat, Jazziz, Coda and Cadence among other periodicals. Paul Smoker Trio: with Ron Rohovit, bass; Phil Haynes, drums. Paul Smoker: Brass Reality (Nine Winds 0241, 2001 [rec. 1997]) - Herb Robertson, trumpet, valve trombone & Eb tuba; David Taylor, bass trombone & BBb tuba; Phil Haynes, percussion.